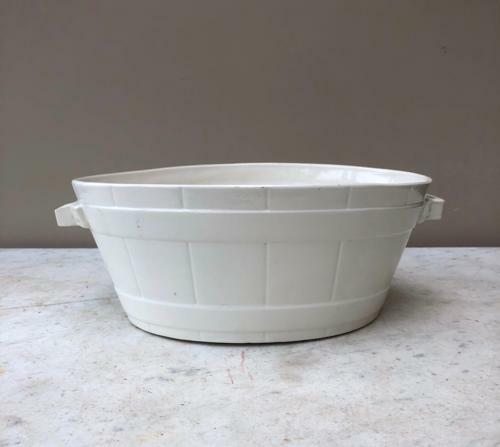 A wonderful Edwardian white banded dairy butter bowl. These are always hard to find and make great fruit bowls. Good clean and no damage BUT there has been a repair to one handle...not overly noticeable but its there.